SYOSS. SALON-SCHÖNES HAAR JEDEN TAG. 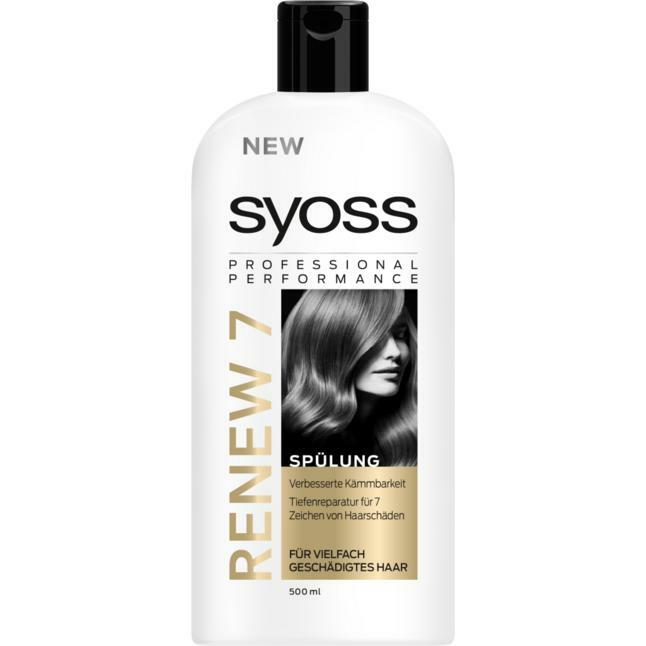 DER SYOSS STYLIST EMPFIEHLT:#Sanft im nassen Haar verteilen und gründlich ausspülen. 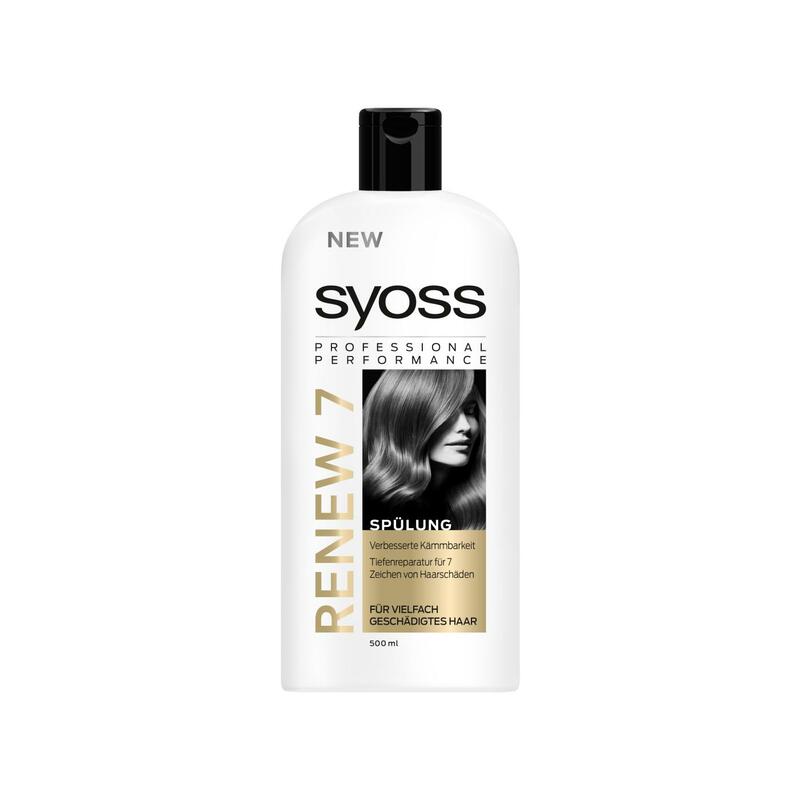 Für optimale Ergebnisse verwenden Sie auch SYOSS RENEW 7 Shampoo. Aqua (Water, Eau), Cetearyl Alcohol, Quaternium-87, Stearamidopropyl Dimethylamine, Dimethicone, Distearoylethyl Hydroxyethylmonium Methosulfate, Isopropyl Myristate, Serine, Steardimonium Hydroxypropyl Hydrolyzed Keratin, Hydrolyzed Keratin, Panthenol, Citric Acid, Propylene Glycol, Phenoxyethanol, Sodium Methylparaben, Parfum (Fragrance), Dimethiconol, Polyquaternium-37, Dicaprylyl Carbonate, Linalool, Hexyl Cinnamal, Sodium Chloride.